Professional Lash artists across the UK are switching to the technique that creates fuller, softer and more-natural looking lashes that last longer. 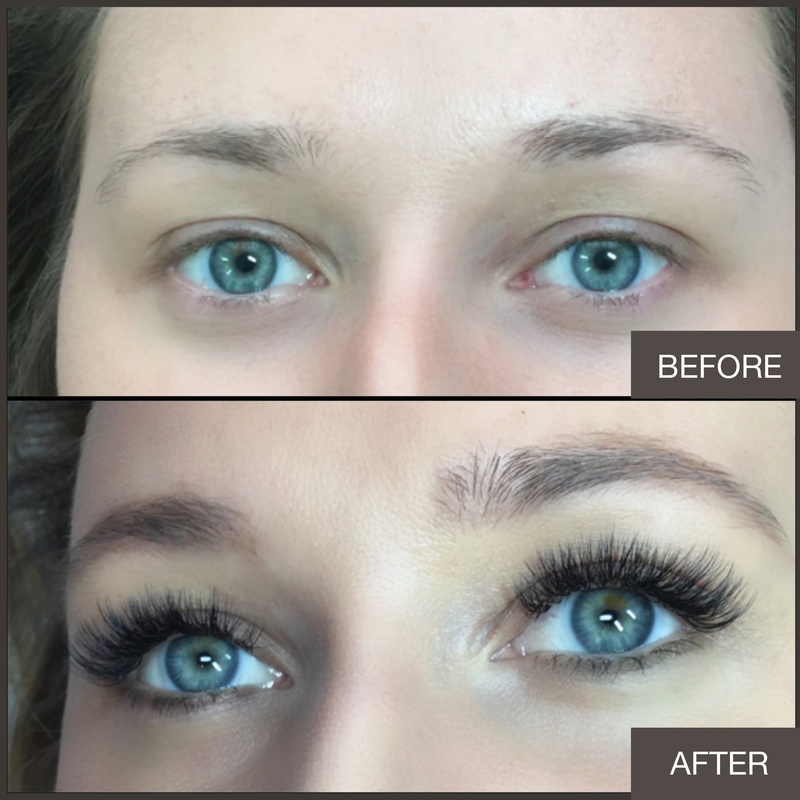 Here’s why…..
Over the past few years, volume lash extension services have grown in popularity as the demand for fuller, thicker lashes has risen.. The volume lash technique originated in Russia years ago but now a newer technique has emerged from America, aptly called “American Volume”. This new and unique technique creates fuller, softer and more natural-looking lashes that last longer and are easier to maintain. Today, professional lash artists are switching over to American Volume. 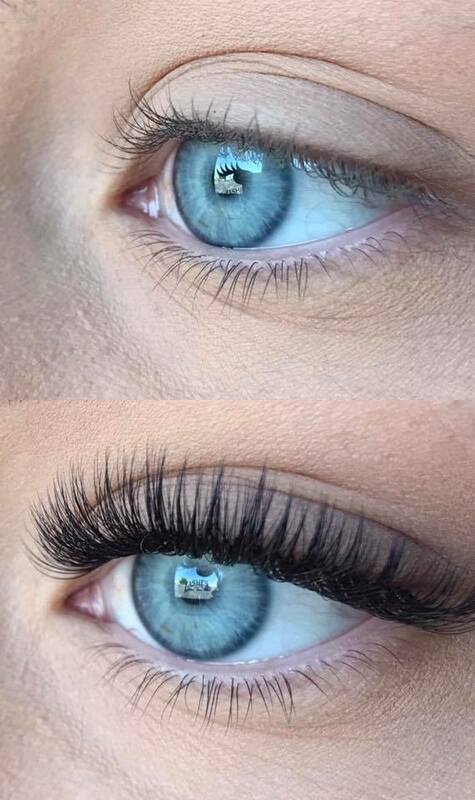 Traditional volume lash extensions create a thicker, fuller look but can often appear heavy and unnatural. We know that you’re are looking for a softer, more natural appearance which is where American volume comes in. It’s an advanced technique that gives clients better results and more confidence. Our unique “foundation” technique allows lashes to look more natural as they shed, eliminating the issue of obvious gaps throughout the lash line when fans shed. And unlike traditional Russian volume methods that typically use one length to create a uniform strip-lash effect, the American Volume technique uses three or more lengths across the lash line to create a soft, natural texture that mimics your own lashes. Plus, a full set of American Volume can be applied in the same amount of time it takes us to apply a classic set. American Volume lashes are not only easy and effortless to wear but are both oil-proof and waterproof, thanks to our unique High Speed Platinum Bond Adhesive. This means that you can shower or head to the steam room immediately after the lash service and can continue using oil-based products on and around the extensions – a bonus for women who love facial oils. We set ourselves apart with American Volume by offering longer wear times and better durability. 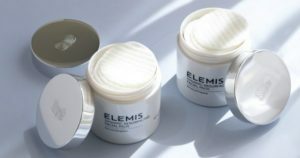 High Speed Platinum Bond Adhesive is rubberised and flexible, making the lashes strong and durable. In fact, you can go five to six weeks between infill appointments while wearing American Volume. The myth surrounding eyelash extensions being high-maintenance is well and truly busted. With no waiting period to shower, simple aftercare and infill appointments every five weeks, American Volume lashes fit into even the busiest of lifestyles.